A song of exuberant praise… for a God whose wings give shelter, protection, comfort…. For a God whose goodness is the very source of life itself. Wow. For someone who isn’t particularly exuberant, this Psalm is like a fit companion on the trail, running ahead, eager to see what’s around the next bend, calling back to “come and see” what unexpected treasure comes next. It’s a joyous tune, with the treble and mid-range and bass working together with emotional fullness and audio clarity, playing the heartstrings as it moves the listener beyond self. It’s a painting created from the full palette of colours, unrestrained in splashing the fullness of God’s glory so we cannot help but take it into ourselves. 6 Your righteousness is like the highest mountains, your justice like the great deep. Something we are well-aware of, living in a place of such majesty and beauty, is the connection between the glories of nature and the love of God, the creator. Many of our neighbours who would not express any interest in religious or even spiritual understandings of life, will speak with great conviction about meeting God in nature. We hear the spiritual foundations of “all my relations” from our indigenous sisters and brothers, the interrelatedness of all things as common expressions of the creator, and it rings true with the awe and respect that we have for the tiniest wildflower and the tallest tree, the most industrious insect and the looming grizzly. And what surprised me, after I’d lived here for a couple of years, is that this sense of being attuned to and grateful for the beauty of creation is something that travels with you: I can go other places, and appreciate the uniqueness and beauty of that place, even if someone standing an objective distance away might say that the other place pales by comparison. Because it isn’t about comparison – all of creation expresses the glory of God, just as each of us shines our own unique light into the overall gift of life. Within the 36th Psalm, the focal point is the human experience of God’s glory, and it’s no coincidence that this is set within nature. Theologian Paul Tillich wrote extensively on the way that religious symbols participate in the greater reality that they describe, and that is at work here: the protectiveness of a mother bird brings us into God’s fierce, protective love of all her children, the vastness of the heavens are a window into God’s infinite being, the force of rushing waters and the unknown depths of the sea embody the power and mystery of the Holy. These examples drawn from nature connect the natural world and our human lives and God, whose life-breath pulses through all of it, not just in a metaphorical way but as an expression that all of life, all the world, bears God’s holiness. That wonderful image, of humans huddled under the wingspan of mama God, is so evocative, both of the protective instincts we see in nature and of the trust that we can place in a Holy presence who wishes us to be safe from harm. It acknowledges that there are perils in life, things that do take a run at us from time to time, and that God wants us to find safety amidst such perils, to trust that there is refuge to be found in God’s presence when we are fearful of or perplexed by life’s changes and challenges. And it reminds us that we are in this together, unified by God, our common parent. This oneness of creation, our complete connectedness with this amazing God and the diversity of companions on the journey, is spoken of by Contemplative Theologian Cynthia Bourgeault, who writes, “One of the most familiar of Jesus’ teachings is ‘Love your neighbor as yourself’ (Mark 12:31, Matthew 22:39). But we almost always hear that wrong: ‘Love your neighbor as much as yourself….’ If you listen closely to Jesus however, there is no ‘as much as’ in his admonition. It’s just ‘Love your neighbor as yourself’—as a continuation of your very own being. It’s a complete seeing, that your neighbor is you. There are not two individuals out there, one seeking to better herself at the price of the other, or to extend charity to the other; there are simply two cells of the one great Life. Each of them is equally precious and necessary. And as these two cells flow into one another, experiencing that one Life from the inside, they discover that ‘laying down one’s life for another’ is not a loss of one’s self but a vast expansion of it—because the indivisible reality of love is the only True Self.” That, to me, is where the 36th Psalm was going as well, telling us of the glories of God through the glories of nature, so that we might understand how completely our lives rest within God, with one another, and amongst and between and as part of the intricate web of creation. This joyous Psalm reminds us that there is good reason to be exuberant about this world, this life, and the God whose life-breath enlivens all of it! By using all these images of nature to illuminate what we know about God, an important connection is drawn that is so important for us to embrace in the 21st century. As stated by James Evans, “We ought to know by now the interrelated nature of our existence with the natural order. We do not stand alone as living beings on this planet. Our life is part of a life system that we ignore or damage at our peril.” In a winter where our son’s farm in Carstairs, Alberta barely has any snow cover, while our pilgrimage companions in North Carolina have more snow than they know what to do with, we do well to put our environmental concerns not just in a practical framework, but in a theological one. God’s concern for us, Christ’s presence with us, are not just future-oriented, they are present with us right now. No matter what we believe about the afterlife, no matter how we conceptualize heaven, this life right here, right now, is where we meet God. These companions, right here, right now, are part of the holy journey. And any of the ways that I might disrespect this moment and this place – the amount of needless consumerism I engage in, the amount of needless garbage I produce, the fuel I waste by having my thermostat too high or idling my car for no apparent reason, not to mention any activities I engage in which might alienate me from others – are things that also alienate me from the God who is both the gift and the giver. The debates I engage in about pipelines and water sovereignty and homelessness all function as aspects of what I think about God, and the love that infuses all of God’s gift of life. 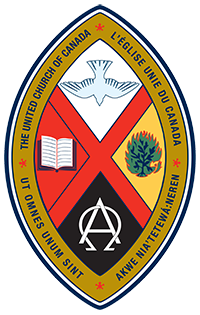 The very first line of our United Church Creed, “We are not alone, we live in God’s world” kind of says it all. Life is good – no, life is GLORIOUS – and as we “live with respect in creation” we become a living statement of faith: I believe in God and the way I show that, is by believing in life. As Marcus Borg would put it, “to believe is to belove” – we declare our belief in God not by words or doctrines or thoughts, but by falling in love with God’s gifts of nature and community and fair opportunity for all of God’s children. Each choice I make in favour of love, each positive change I make to help this world sustain itself, is a thank-you to the one who is at its essence. and your salvation to the upright of heart! – Amen and Amen. Borg, Marcus. Speaking Christian. NYC: HarperCollins, 2011. Page 16. © 2019 Rev Greg Wooley, Ralph Connor Memorial United Church.